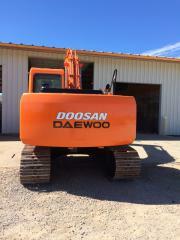 Daewoo / Doosan 30,000 LB Excavator, Model 140-LCV with 2' Bucket. 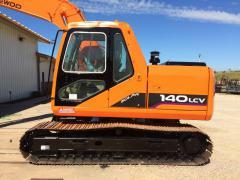 Thumb attachment is available for additional $50.00 daily fee. On Steel tracks.